A series of meetings to provide information and analysis to assist producers and landowners understand what’s required and make decisions. 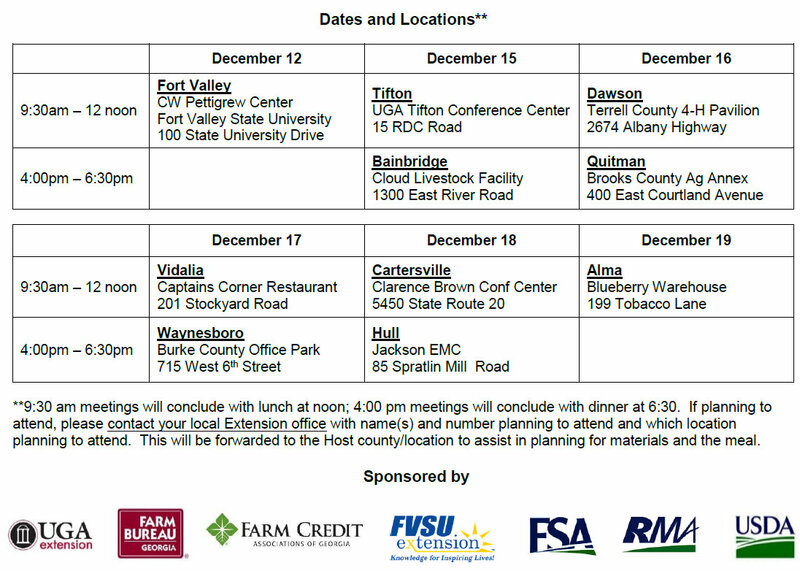 Meetings will be conducted by UGA agricultural economists Dr. Nathan Smith and Dr. Don Shurley, the USDA, Farm Service Agency, and the USDA Risk Management Agency. Questions and answers and discussion will be included. The 2014-2015 UGA Wheat Production Guides are now available. If you need a hard copy, we can print one off. You can download the pdf at the link above. Georgia planted acres dropped by a third to 300,000 acres and harvested acres dropped 28% to 250,000 acres. Georgia’s average yield is estimated at 55 bushels per acre, falling 5 bushels from last year’s record wheat yield of 60 bushels per acre. Producers had problems harvesting wheat as less than 25% of the crop was harvested by June. As a result quality was also a concern and producers were faced with discounts. Wheat prices were down over much of the year, and took a turn for the worse when a large 2013 Canadian wheat crop was realized. Monthly SRW wheat prices ranged between $5.90 and $6.92 during June 2013 and May 2014. The 13-14 marketing year started near $7.00 per bushel but dropped below $6.00 during harvest. Cash prices going into planting season for 2015 crop were below $6.00 per bushel, with basis at 65 cents under July futures before improving to 50 cents under. Wheat fundamentals are considered bearish going to 2015 as record global production is projected again. Wheat planting in Georgia will likely fall some again in 2014 due to lower prices and current dry conditions. Most of us don’t know of temperatures this low before Thanksgiving. A lot of people are already covering citrus trees planted in their backyards. Satsuma’s are probably my favorite citrus and have the best cold tolerance – withstanding temperatures as low as 19 and 20 degrees. Citrons, lemons, and limes have the lowest tolerance and can be damaged in the upper 20s. Tangerines and mandarins can withstand the mid-20s. We’ve also been wondering about crops still harvesting. Here is a picture of some Stuart pecans that are still in the tree. I was asked about some Sumners the other day which were still green and shucks not opening. UGA Pecan Specialist Dr. Lenny Wells says its a misconception that cold will keep shucks from opening. If the nut is mature, it will open and fall. If it’s not opening, it’s something else – maybe pollination issue. A dry October has caused is hurting us trying to establish forage on dryland pasture. Here is some Big Boss Ryegrass that was drilled in the middle of October. This pasture received its first rain last week since it’s been planted. The cold may have been a factor too since some tips have died back. Oats has the least cold tolerance of our cool season forages. Irrigated pastures for grazing are up and tillers developing with less stress for water. It looks like farm diesel is lower in cost than it has been in almost 4 years. That’s a good thing as we use lots of fuel on the farm. Here is an interesting report by Amanda Smith, UGA Extension Ag Economist, concerning farm diesel prices. These are the monthly farm diesel prices for the Southern Atlantic states from 2011-2014. Compared to the previous four years, diesel prices have been more stable. Prices have ranged from a low of $3.13 to a high of $3.86 per gallon. There appears to be some seasonality to diesel prices as you can see price fluctuating up and down throughout each year. Deep tillage – Wheat reponds well to deep tillage because it has a low tolerance for low oxygen. Prepare soils with a V-ripper, chisel plow, paraplow or subsoiler. Simple disking is not as effective as deep tillage but is preferred over no-tilling. 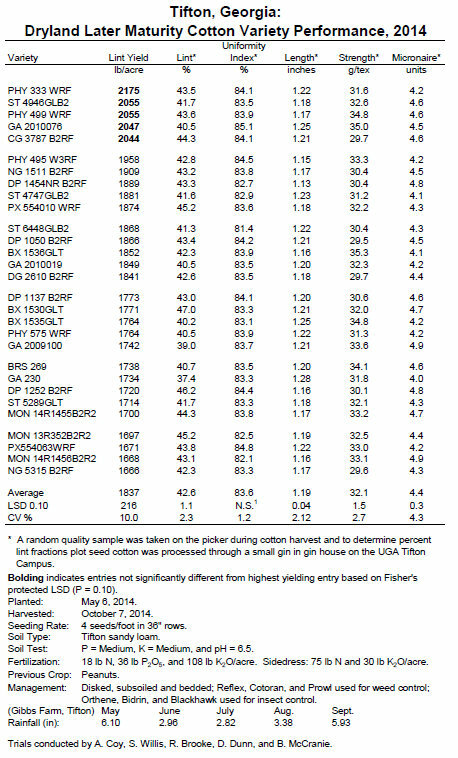 Plant high yielding, pest resistant varieties – Refer to my post on 2014 Grain Varieties. Spread risks by planting at least 3 varieties in a field. Seeding rate – In a drill, plant 22 to 25 seeds/row foot (7.5. inch drill width). This is equivalent to 30-35 seeds per square foot. Wheat emerges best when planted 1 to 1.5 inches depth. Yields from drilling wheat tend to be 7-8% higher than broadcast. If broadcasting wheat, calibrate equipment to plant 40 seeds / square foot. Planting dates – Recommended planting dates for GA are 7 days prior to and after average first frost day for your farm. 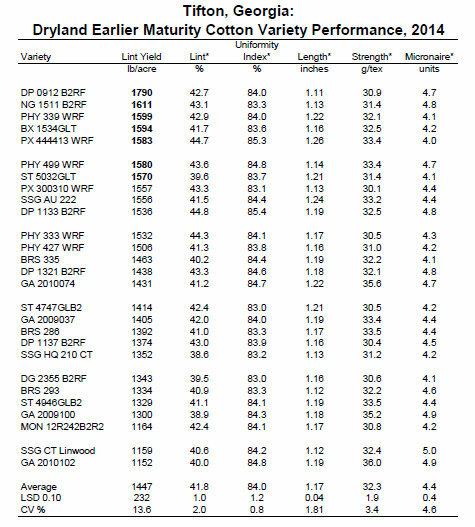 Varieties with long vernalization requirements should be planted in the first 7 days before the first frost. Real early varieties with short nervalization – such as Fleming – need to be planted in the vary last days of the recommended window. These varieties will suffer winter injury if planted too early since they would enter jointing phase before the time that sub-freezing temp do not occur. Scout fields for early insect infestations -Hessian fly and aphids are the 2 insects generally causing problems in the Fall. Start scouting for these 25-30 days after planting – just before topdressing. Insects can also be controlled by using resistant varities or seed treatments. Weed control – Ryegrass and broadleaf weeds need to be controlled early. Ryegrass needs to be controlled when the plant is between the 2-lear and 2-tiller stage. Once we past Christmas, it is too late to effectively control most weeds. Scout wheat 25-30 days after emergence . Ryegrass has genetic potential to form resistance. We must rotate herbicides. Below is a list of herbicide classes I put in a newsletter last season. It is important that each field is treated only once every two years with the respected chemistry. For instance, if we use Axial this year, we do not spray Axial or Hoelon on that piece of ground next year at all. The same applies to Powerflex and Osprey. If we do not rotate, we will lose the chemistry. Soil test – Wheat prefers soils with a pH of 6.0 to 6.5. Make sure potassium and phosphorus are medium to medium-high range. Nitrogen is the first nutrient to be unavailable to wheat. In a heavy soil, we need 20-30 lb/N. In a light soil, we need 30-40 lbs of N. If fertilizing for wheat only, apply all P and K in the fall during seed bed prep. Fall tillers make the largest and most productive heads.